Ludwigschafen-on-the-Rhine, Germany: Self-published, 1908. Hardcover. Near Fine. INSCRIBED BY H.W. WALDO (A VICE-PRESIDENT OF THE BADISCHE COMPANY) on the title page. 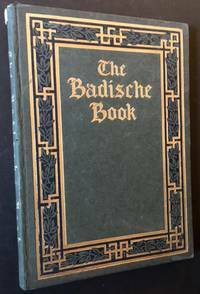 A very solid copy to boot of this 1908 English-language catalogue (issued by the New York branch) of the manufacturing giant Badische Anilin--& Soda--Fabrik of Germany. Clean and Near Fine in its wonderful gilt-latticed front panel, with very light wear to the spine crown. A Badische bookplate at the front pastedown states this is #37 of an undetermined number of copies issued. Quarto, crisp black-and-white photos and diagrams thruout. Badische Anilin was, among other things, a major turn-of-the-century manufacturer of "artificial organic coloring"
Orlando, FL: Podium Publishing Co, 1957. Hardcover. Very Good +/Very Good +. WARMLY INSCRIBED BY BROWNIE WISE on the front free endpaper. 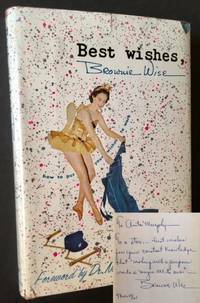 A very solid copy to boot of the 1957 1st edition of this motivational guide to better selling by Brownie Wise (1913-1992), the pioneering businesswoman who was largely responsible for the success of Tupperware through her development of the "party plan" system of marketing. Clean and VG+ (light creasing at the upper tips of the first several pages) in a crisp, price-intact ($3.95), VG+ dustjacket, with very light chipping at th spine crown and one small chip to the front panel's upper tip. Octavo, Forword by Dr. Norman Vincent Peale. 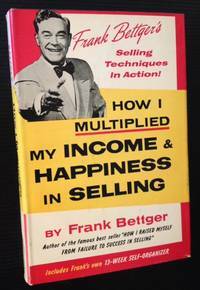 One of the Bibles of post-War motivational selling. Boston: Bellman Publishing Co, 1948. Cloth. Very Good/Very Good +. A very solid copy of the 1948 1st edition. Tight and VG (very light soiling to the panels, light spotting at the endpapers and pastedowns) in a crisp, price-intact ($1.25), VG+ dustjacket, with just a touch of foxing to the front panel. 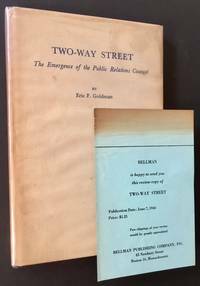 A Review Copy to boot, with the publisher's original Review Slip and Prospectus laid-in. Octavo, one of the pioneering studies of the emergence of public relaitons in American business. 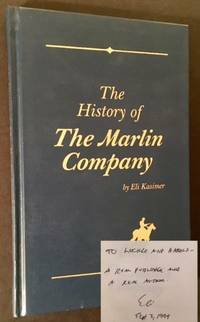 North Haven, CT: The Marlin Company, Inc, 1998. Hardcover. Fine. WARMLY INSCRIBED BY THE AUTHOR ELI KASIMER on the front free endpaper. A pristine copy to boot of the 1998 1st edition. Tight and Fine in its blue boards, with immaculate gilt-titling along the front panel and spine. Octavo, 98 pgs., including dozens of plates at the rear. New York: B.C. Forbes Publishing Company, 1923. Cloth. Very Good +/Near Fine. A very solid copy of the 1923 1st edition of this early imprint of Forbes Publishing, which of course would grow into the Forbes Magazine empire. Tight and VG+ (bright gilt-lettering at the front panel and spine, light offsetting along the inner hinges) in a surprisingly crisp, Near Fine example of the fragile dustjacket. 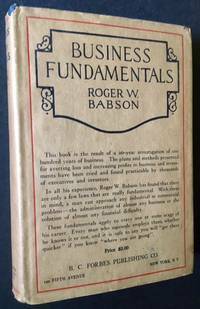 12mo, sound, pre-Crash business advice by the founder of Babson College just outside of Boston. Duke University Press (Marco Beltchev Sons. Ltd.), 1950. Near Fine. A handsome copy of the 1st English language edition. Originally published in German as a thesis issued out of Zurich, this "enlarged reprint" is limited to 2,000 copies. Clean and Near Fine in its light-brown leatherette, with bright gilt-lettering along the front panel and spine. One small, subtle abrasion to the front panel, otherwise clean as could be. Octavo, impressive color plates of tobacco leaves and other fold-out plates at rear. Belgium. Original wraps. Fine. 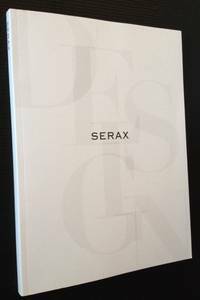 "Serax formed the basis of a significant revolution in the floristry sector. Designs created by Belgian and International designers emerged and changed this sector forever. This ambition continues to define Serax's reason for being." (from the Introduction). Impressive trade catalogue from this Belgian design firm. Clean and Fine in its white wrappers. Tall quarto, hundreds of high-quality designer offerings thruout. New York: The Citadel Press, 1954. Cloth. Near Fine/Near Fine. A bright, very sharp copy of the 1954 1st edition. Clean and Near Fine in a crisp, price-intact, Near Fine dustjacket (which includes an uncommon fold-out rear flap). Octavo, 312 pgs. New York: Prentice-Hall Publishing, 1954. Cloth. Fine/Near Fine. A crisp, very nice copy of the 1954 1st edition of this wonderful throwback to the breathless, amped-up selling techniques of the post-War era. Tight and Fine in a bright, price-intact, Near Fine dustjacket. Octavo, 315 pgs., including "Frank's own 13-week self-organizer!". A superb copy. New York: William Morrow & Co, 1950. Cloth. Near Fine/Very Good. 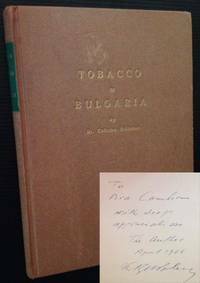 A very solid copy of the 1950 1st edition. A REVIEW COPY TO BOOT, WITH THE UNCOMMON WILLIAM MORROW REVIEW SLIP LAID-IN. Clean and Near Fine in a bright, price-intact, VG dustjacket, with light rubbing to the front panel and light chipping along the panel edges. Octavo, 184 pgs., including crisp black-and-white illustrations thruout. Highland Park, IL: Al Collins Publishing Inc, 1965. Cloth. Very Good +/Very Good. 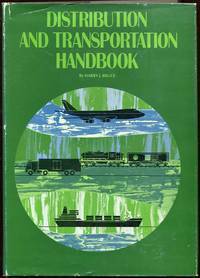 A solid copy of the 1965 1st edition. Tight and VG+ in a bright, price-intact, VG dustjacket, with light chipping along the flap-folds and at the spine ends. Tall quarto, 223 pgs. Boston: Cahners Publishing, 1971. Cloth. Near Fine/Near Fine. 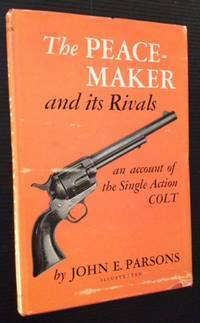 A sharp copy of the 1971 1st edition. Clean and Near Fine in a bright, Near Fine dustjacket, with several small closed tears along the spine crown. Octavo, 393 pgs. New York: The Century Co, 1917. Cloth. Collectible; Fine/Very Good. 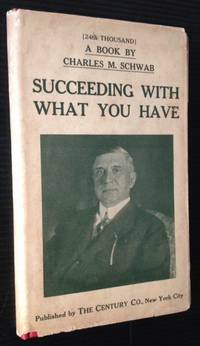 1917 memoir/instructional by the legendary steel magnate and CEO of Bethehem Steel, IN ITS UNCOMMON PICTORIAL DUSTJACKET. Clean and Near Fine in a bright, VG example of the fragile dustjacket, with very light chipping at the panel edges and splitting starting at the front flap-fold. Still though, a very presentable copy. 12mo, 63 pgs. 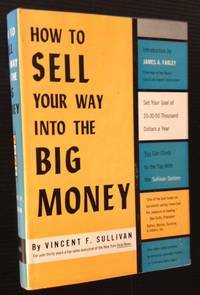 Dustjacket states "(24th Thousand)"
New York: John Wiley & Sons, 1950. Cloth. Collectible; Fine/Very Good. The 1950 1st American edition. Tight and Near Fine (with small former owner name at front free endpaper) in a bright, price-intact, VG dustjacket, with light chipping at the tips and at the spine ends. Thick octavo, 449 pgs., fold-out charts. Lancaster, PA: The Springs Cotton Mills, 1948. Decorative Cloth. Collectible; Fine/Fine. A very nice copy of this 1948 history of the Lancaster plant of The Springs Cotton Mills. Clean and Near Fine in a wonderful, Near Fine example of the Rockwell Kent (among others)-illustrated dustjacket. Octavo, 433 pgs. New York: Reinhold Publishing, 1948. 1st. Cloth. Collectible; Fine/Very Good. A solid copy of the 1948 1st edition. Clean and Near Fine in a bright, price-intact, VG+ dustjacket, with just a touch of soiling to the panels. Octavo, 263 pgs. Boston: Little, Brown, 1911. 1st. Cloth. Collectible; Very Good. INSCRIBED BY THE AUTHOR on the 2nd blank endpaper. A solid copy to boot of the 1911 1st edition. Tight and VG in its duotone cloth, with light bumping at the tips and along the bottom-edge. Former owner name at the front free endpaper, otherwise very sharp. Octavo, 91 pgs. Signed by Author. New York: Viking, 1999. Cloth. Collectible; Fine/Fine. SIGNED BY RAY KURZWEIL on the title page. A pristine copy to boot of the 1999 5th printing. 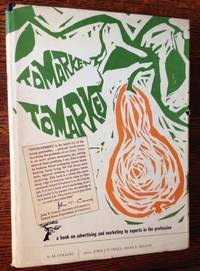 Fine in a bright, price-intact, Fine dustjacket. Octavo, 388 pgs. Signed by Author. Boston: Little, Brown, 2000. Hardcover. Collectible; Fine/Fine. SIGNED BY MALCOLM GLADWELL on the title page. A very sharp copy to boot of the 2000 6th printing. Clean and Near Fine in a bright, price-intact, Near Fine dustjacket. Octavo, 279 pgs. Signed by Author. Milan: S.p.A. Virginio Rimoldi & C.. 1st. Original Wraps. Collectible; Fine. Beautiful company catalogue, published out of Milan by the S.p.A. Virginio Rimoldi & C. Employing the finest in Italian design of the late 1950s/early 60s, this highly visual catalogue is filled with wonderful color plates of state-of-the-art sewing machines--and their interiors. 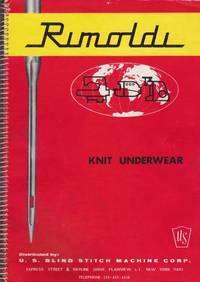 This particular issue focuses on the machines designed to make knit underwear and the catalogue is distributed by U.S. Blind Stitch Machine Corp. A clean, Near Fine copy in its spiral-bound, pictorial wrappers. Tall quarto, vibrant color on virtually every page.